IBF welterweight champion Errol ‘The Truth’ Spence Jr 24-0 (21) has admitted he may not get the respect he deserves for defeating Mikey Garcia 39-0 (30) when the undefeated duo meat at AT&T Stadium in Arlington, Texas on March 16. The 31-year-old Garcia, who has fought as high as 140-pounds, is the reigning IBF and WBA lightweight champion. “He’s a real fighter, a true fighter, but it’s a double edge sword,” said Spence Jr said to Fightnews.com. “Me knocking him out in the 1st round, they are going to say he’s too small. Me just punishing him throughout the whole fight, they are going to say it’s a size advantage, size difference. And I’m his highest payday and then he can go fight for his belt at ’35 and ’40. Spence Jr, who clearly has a notable size advantage over Garcia, says there is still some upside in defeating the popular Californian. “It is a win for me and that notoriety too. 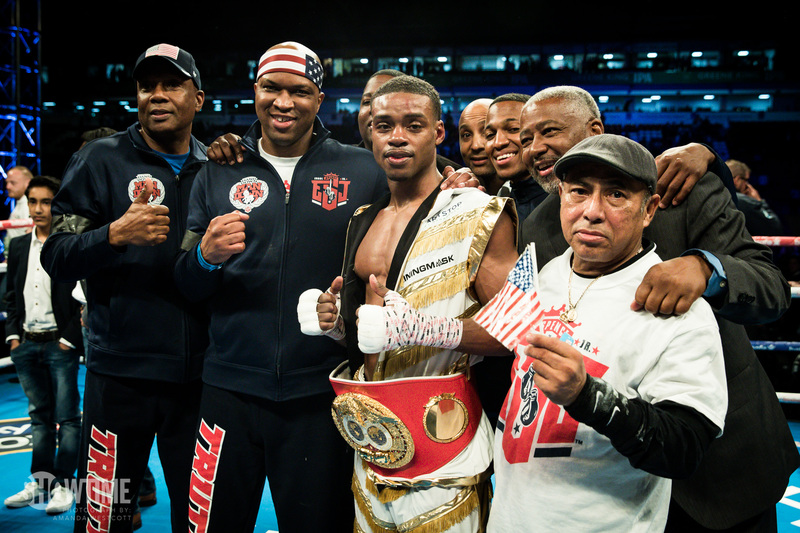 And the platform I am fighting on is a win for me at this stage of my career,” Spence Jr said. “I want that platform, huge fanbase and be a crossover star, superstar. From that aspect, it is going to be a big fight for me. “It definitely has the platform to be the biggest fight of the year. You know in my fights I am always in good fights and Mikey is always in great fights. Not just great fights, but we always put on dominating performances. Our styles mesh well – we got good crowd-pleasing styles. The 29-year-old Texan, who insists he isn’t looking past Garcia, revealed he has designs on facing Filipino great Manny Pacquiao before the 40-year-old future Hall of Famer hangs up his gloves. “It’s a no brainer,” Spence Jr said. “He’s a future Hall of Famer, he has broken all these records, he’s a humongous draw and he’s getting older. He has a few fights left in him. No telling who he might fight and then might retire.